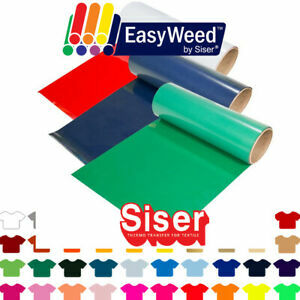 Siser Easyweed Heat Transfer Vinyl HTV - Pick 5 Colors for $49.98, 12" x 3ft Ea. uscutter has no other items for sale. Details about Siser Easyweed Heat Transfer Vinyl HTV - Pick 5 Colors for $49.98, 12" x 3ft Ea. MAKE YOUR OWN BUNDLE, SAVE 50%. CHOOSE FROM 50 COLORS! There are 2,422 items available. Please enter a number less than or equal to 2,422. Fast shipping. Product is good quality. Will order again!